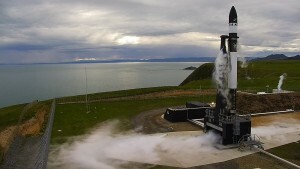 US startup Rocket Lab aims to carry out its second launch of the company’s experimental Electron Rocket sometime in the next week or so. The plan is to send the rocket into orbit, and if successful, will prove the Electron Rocket is prepared to eventually send small commercial payloads to orbit in the future. There’s a 10-day launch window for the Electron Rocket, which will take place at the company’s launch facility in New Zealand, but only if the conditions are perfect. Rocket Lab has made it clear that the launch will not happen if the weather does not cooperate. The window to launch opened on December 8th and the initial plan to launch on December 11th was scrubbed so keep checking back over the next few days to see if the Electron Rocket is successfully sent to orbit.